On Christmas Eve we always leave out some delicious cookies for Father Christmas as one of our Christmas Eve Traditions. 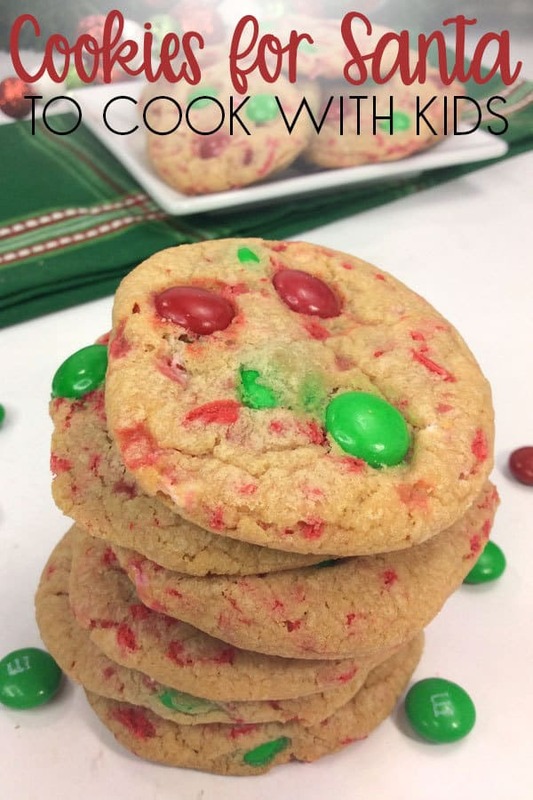 In the past few years, we have been using this easy Christmas Cookies Recipe. 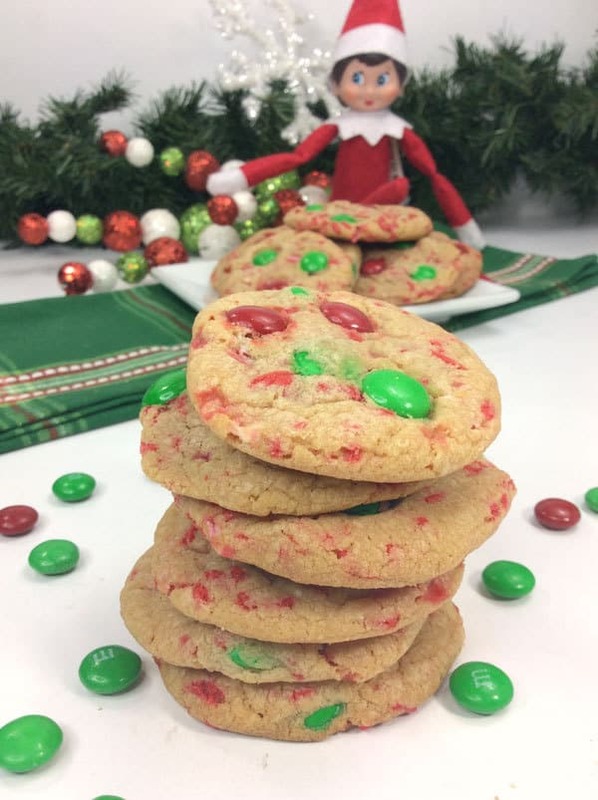 So now the kids know that on the day before Christmas Eve we will be making these Vanilla Pudding Christmas Cookies ready for sharing with Santa and the family that comes to stay for Christmas. 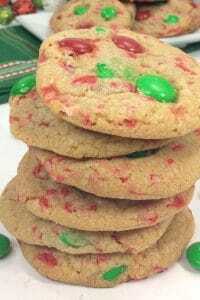 Scroll down to find the printable recipe card with information and other Christmas Cookies that we love to make during the Holiday Season. After we sit down and read ‘Twas the Night Before Christmas we set out our Santa Plate that the kids and I made when they were toddlers. Place a delicious mince pie, one of these cookies, a carrot for the Reindeer and a glass of Santa’s favourite drink (which could be a Baileys or a Sherry especially if Grandad is staying). Then the kids head to bed and we are ready for Father Christmas to arrive. You can guarantee that the Reindeer leaves the end of the carrot, the drink is gone and there may be some crumbs from the mince pie left. But we’re yet to find evidence that Santa didn’t lick the plate clean of these delicious cookies for Christmas Eve. 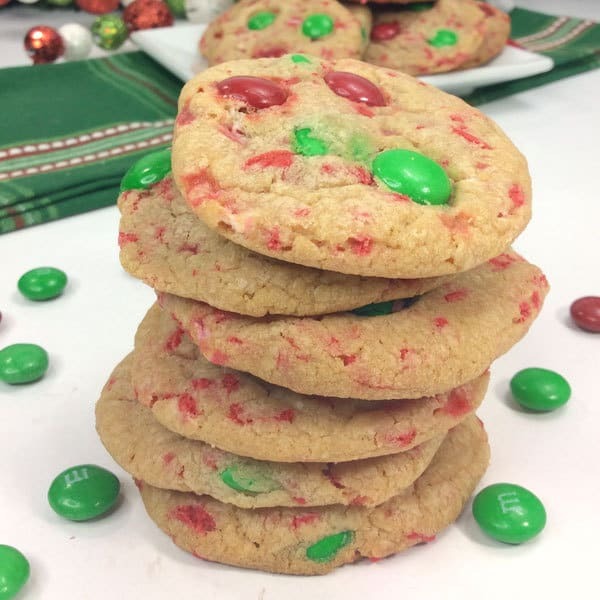 With peppermint and vanilla plus the festive M&Ms, there is a delicious mix of different Christmas flavours and so easy to make. 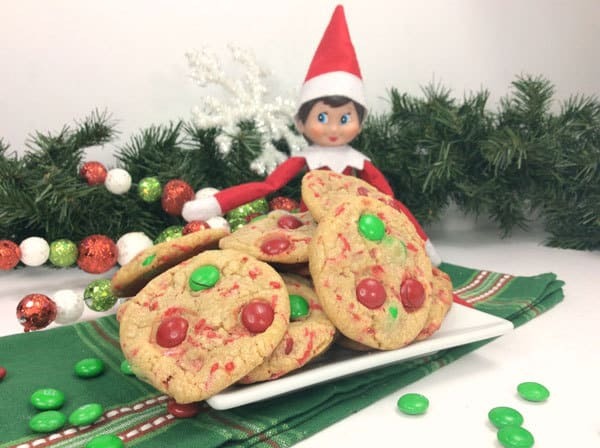 If you are doing Elf on the Shelf this year why not either leave out the Ingredients for the Elves to suggest to your children to make the cookies on the day before Christmas Eve. 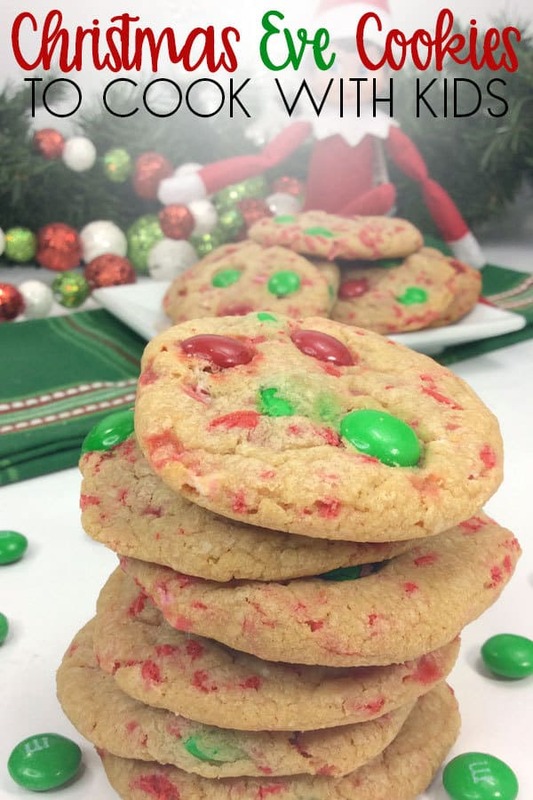 If you make them from the ingredients why not make a few elf sized and leave them out for your Elves. 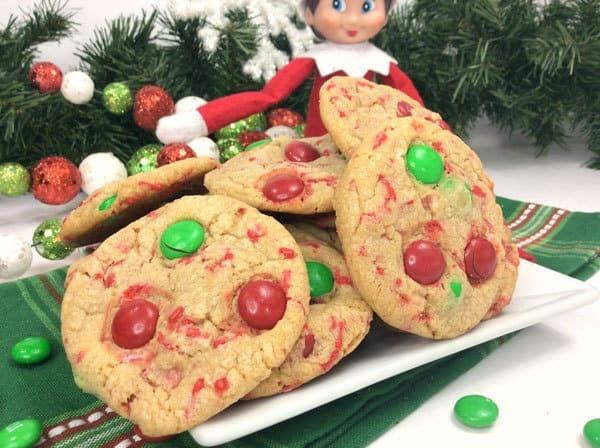 Or the elves could leave these cookies out for your kids as a treat on one of the days as you count down to Christmas. Our favorite Christmas cookie to make at Christmas with the kids is our Gingerbread Snowflakes. Since my youngest was a toddler we have made these every year and gifted to friends and family. 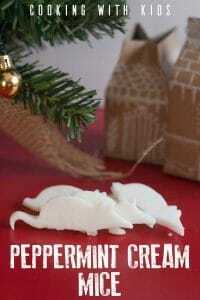 As a child, I used to make these Peppermint Cream Mice with my grandma for Christmas. They are easy to make and VERY VERY sweet so ideas for your family that have an extra sweet tooth. 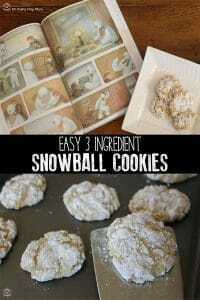 Extra easy and ideal to make with toddlers these Snowball Cookies are made with Cake-Mix and perfect to making when you read The Snowman by Raymond Briggs one of our favourite Christmas Books. Making this dough is really easy. 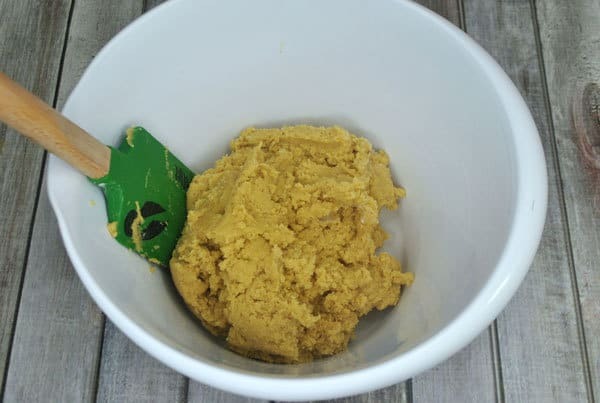 It is a dough that will spread but if you put it into the fridge to cool for at least an hour in the bowl then you can get it to scoop easily. 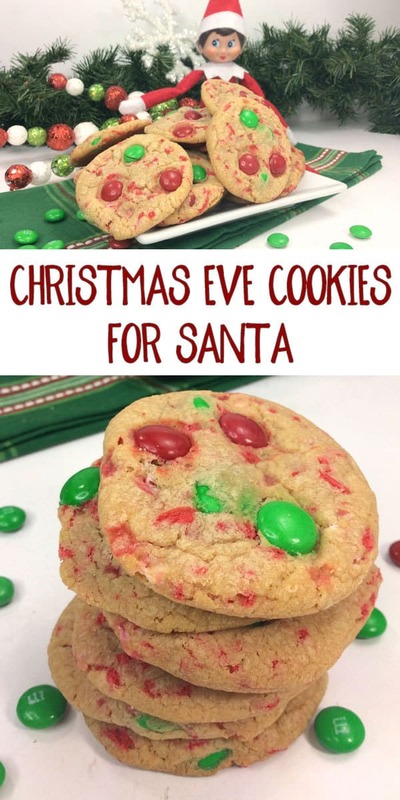 Simple recipe ideal for you and the kids to make to leave out for Santa on Christmas Eve with vanilla and peppermint these are full of Christmas flavours. 115 g unsalted butter room temp. In a large bowl add the butter and brown sugar. Mix till it's creamed together. Add in the egg, peppermint extract, and vanilla and beat until smooth and creamy. Add pudding mix, baking soda, and salt. Stir in all of the sprinkles and M&Ms. 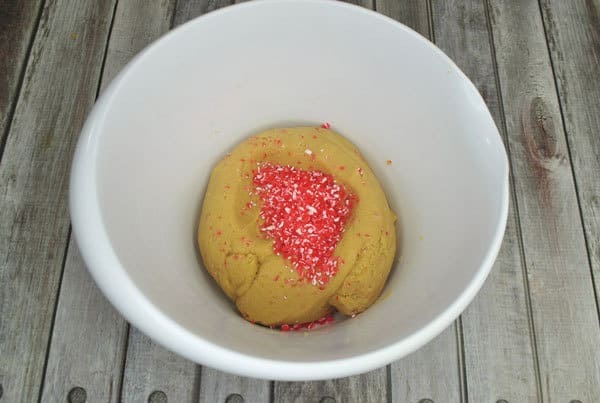 Using a small ice cream scoop shape the dough into small balls. Place chilled cookie dough balls 2” apart on baking sheet. Bake for 10-12 minutes. 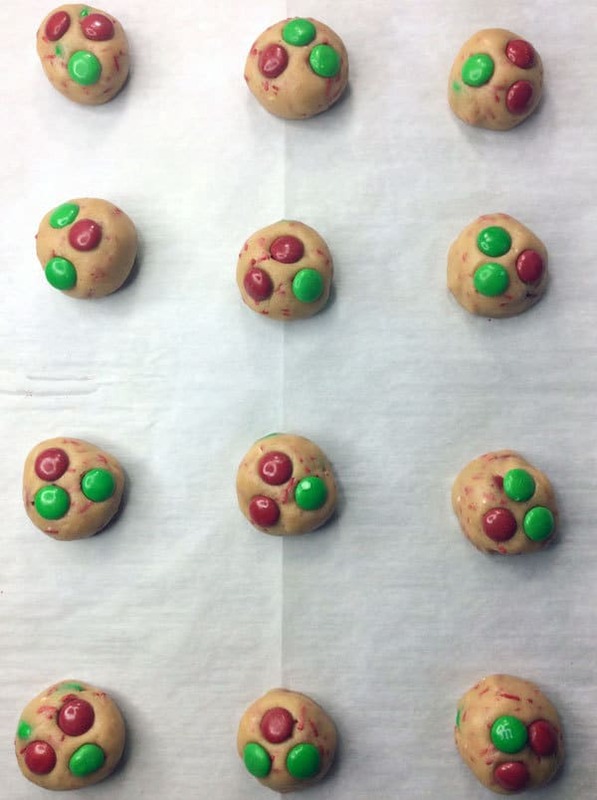 Allow the cookies to cool on the baking sheet. Leave out for Santa and serve to your guests on Christmas Eve.